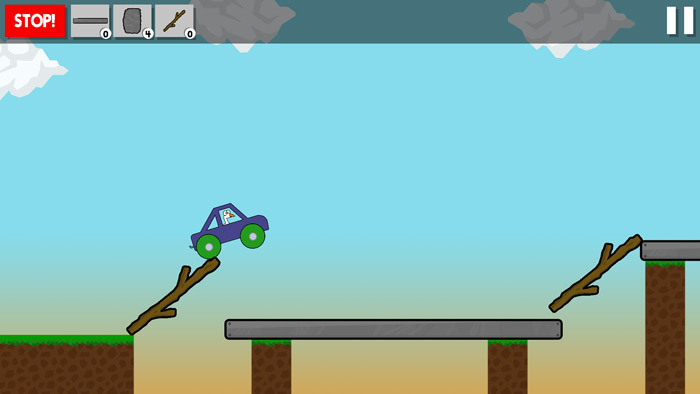 "An intriguing puzzle game about moving a car over numerous obstacles"
Cartoony Cars 2 is a puzzle game (although you may think it's a driving game at first look) where you must get a fun little car weirdly driven by a duck from one point to another using various different materials to create bridges and ways around obstructions. The game starts off simply where you just need to make a flat layer using sticks over an open ravine and this first level also serves as a tutorial as the puzzles become progressively harder, and you will need to use different things such as sticks, concrete blocks, curved sticks and foundation stones to get the car to move up and over and around dangerous obstacles and reach the flag at the fa end of the screen. Cartoony Cars 2 uses a fun graphics style which is simple but enjoyable to look at and the puzzles at least for the first few levels are simple enough to ease gamers of any ability in to it, but it will also provide a challenge the further you get in to the game, and it is very hard to stop once you start playing, also the car if you do make a mistake can have some fun physics based accidents. 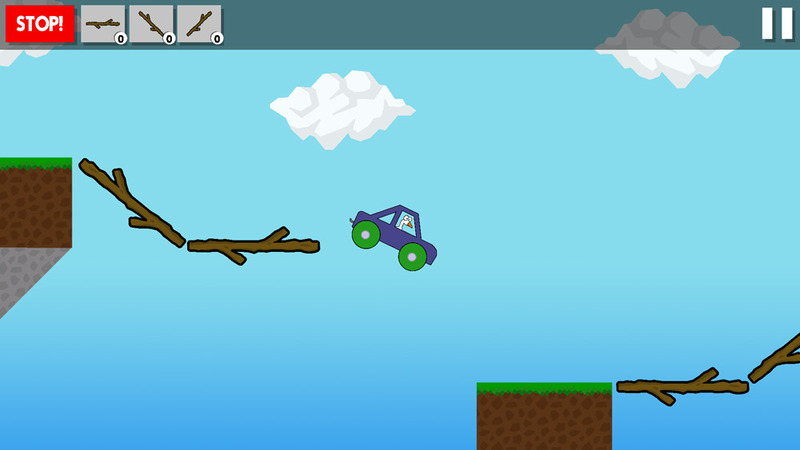 A simple, straight forward but fun and enjoyable game you can download Cartoony Cars 2 here for free.